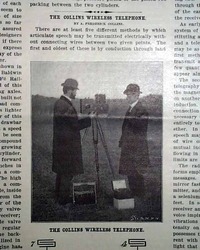 NEW YORK WEEKLY WITNESS, New York, NY, 1901. 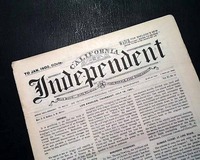 Subtitled: "An Exponent of Applied Christianity--Undenominational in Religion--Independent in Politics." which pretty much sums up the content within. 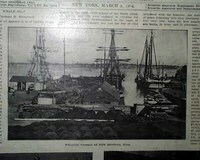 Note that the photo is "generic" and the issue you get will be of a slightly different date but will have the format as shown. 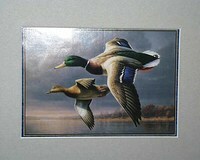 Eight pages measuring 17"x13", even browning. 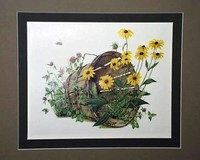 Has Sunday school content for young folks. 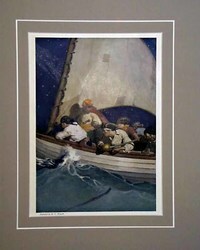 Octavo-size, 4 pages, some lite wear. 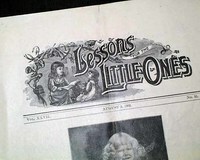 LESSONS FOR THE LITTLE ONES, Dayton, Ohio, July 27, 1902. Sunday school content for young folks. 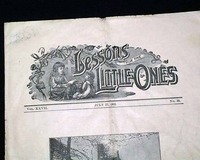 Full front page photo, a few illustrations inside. 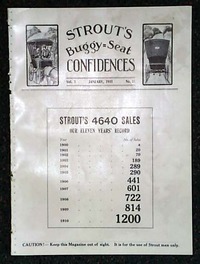 Octavo-size, 4 pages, lite general wear, fold creases. 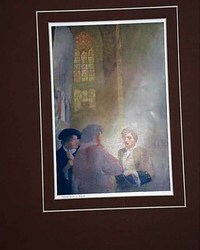 Has Sunday school content for young folks. 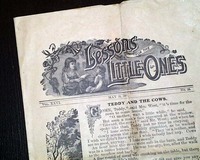 Octavo-size, 4 pages, some lite wear. 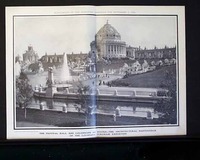 This is a double-page print of "The Festival Hall and Colonnade of States --- The Architectural Masterpiece of the Louisiana Purchase Exposition". 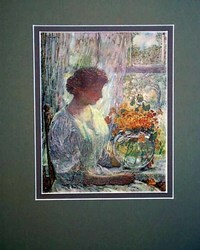 PLEASE NOTE: The exact date is unknown. 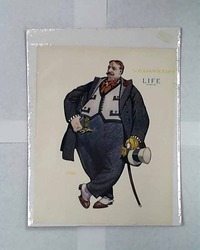 The print is by Albert Levering and is that of "William H. Taft". 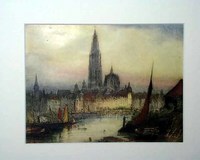 The print size is approximately 8.5 x 10.75 inches. PLEASE NOTE: The exact date is not known. 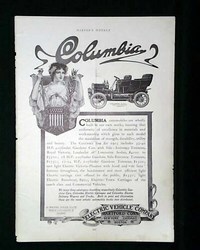 The print is the backcover of an issue and is an automobile ad for Columbia 2 Electric Vehicle Company. 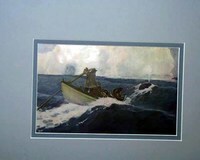 The size is approximately 9.5 x 13.5 inches. 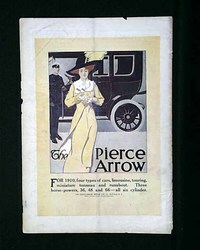 The color print size the backcover of this issue and is an advertisement for The Pierce-Arrow Motor Car Company. 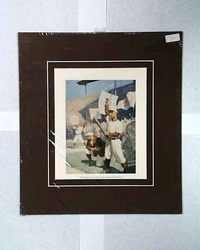 The size is approximately 11 x 16 inches. 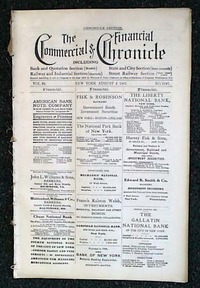 PLEASE NOTE: The exact title of the issue and date is unknown. 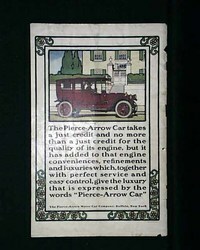 The color print size is approximately 9 x 14 inches and is a full-page ad for Pierce-Arrow Car. 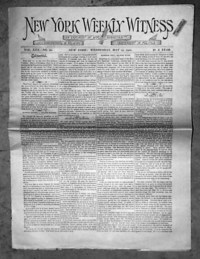 PLEASE NOTE: The exact title of the issue and date is unknown. 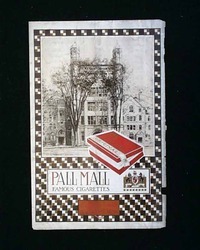 The print size is approximately 9 x 14 inches and is a full-page colorized ad for Pall Mall Cigarettes. 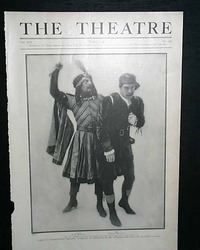 The Theatre (single print only) from New York, January, 1914. 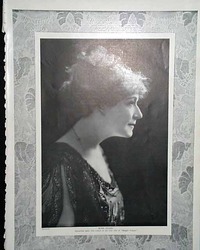 This is a black and white photo of Virginia Pearson from "Nearly Married". 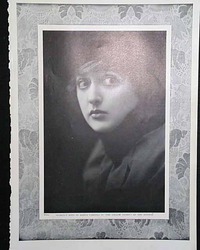 This is a black and white photo of Eleanora de Cisneros from "Aida". 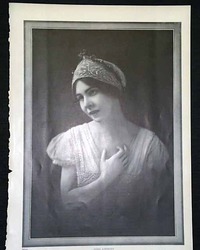 This is a black and white photo of Mary Garden from "Carmen". This is a black and white photo of Zoe Barnett from "All Aboard". 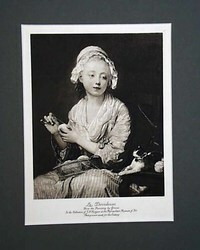 This is a black and white photo of Rose Stahl from "Maggie Pepper". 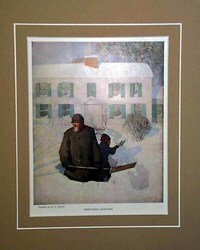 The Theatre (single print only) from New York, circa 1914. 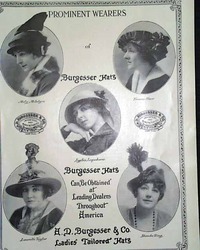 This is a black and white advertisement for Burgesser hats which also features five actresses modeling the hats. 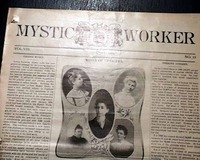 The actresses are: Molly McIntyre; Frances Starr; Lydia Lopokova; Laurette Taylor and Blanche Ring. 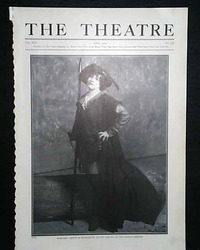 The Theatre (single print only) from New York, February, 1914. 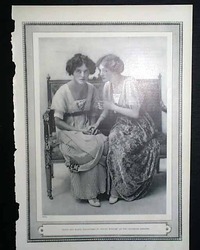 This is a black and white photo of Edith and Mabel Taliaferro from "Young Wisdom". 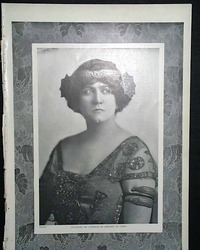 This is a black and white photo of Molly McIntyre from "Kitty MacKay". 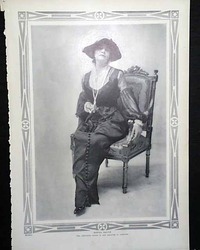 The Theatre (single print only) from New York, March, 1914. 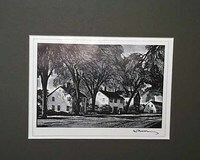 This is a black and white photo of R.D. MacLean and William Faversham from "Othello". 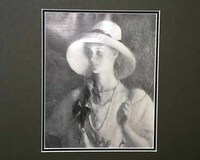 This is a black and white photo of Chrystal Herne from "At Bay". 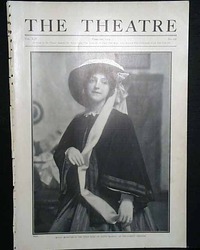 The Theatre (single print only) from New York, April, 1914. 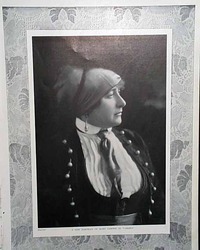 This is a black and white photo of Margaret Anglin from "As You Like It". 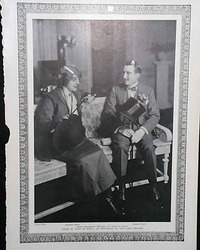 This is a black and white photo of Laurette Taylor and Hassard Short from "Just As Well". 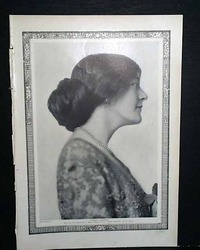 This is a black and white photo of Bertha Kalich. 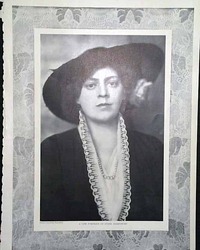 This is a black and white photo of Ethel Barrymore. 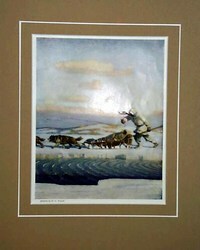 The Theatre (single print only) from New York, May, 1914. 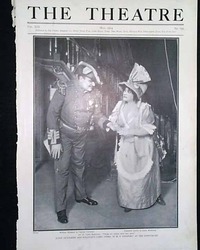 This is a black and white photo of William Hinshaw and Josephine Jacoby from "H. M. S. Pinafore". 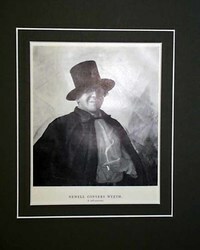 This is a black and white photo of Conway Tearle and Grace George from "The Truth". 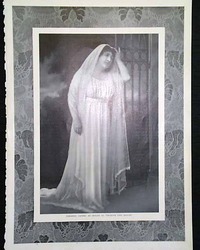 This is a black and white photo of Johanna Gadski in "Tristan Und isolde". 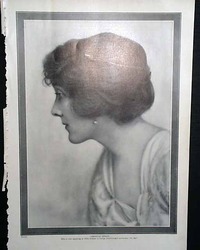 This is a black and white photo of Florence Reed in "The Yellow Ticket". 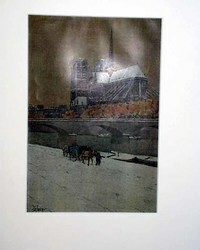 The Theatre (single print only) from New York, June, 1914. 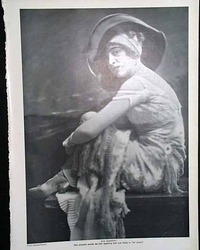 This is a black and white photo of Lydia Lopokova.